۱ Australia's Tim Cahill, left, watches as Netherlands' Ron Vlaar clears the ball during the group B World Cup soccer match between Australia and the Netherlands at the Estadio Beira-Rio in Porto Alegre, Brazil. ۲ South Korean soccer fans use their smartphones to watch a live broadcast of the group H World Cup soccer match between Russia and South Korea, as the screen was turned off due to a network error at a public viewing venue in Seoul, South Korea. 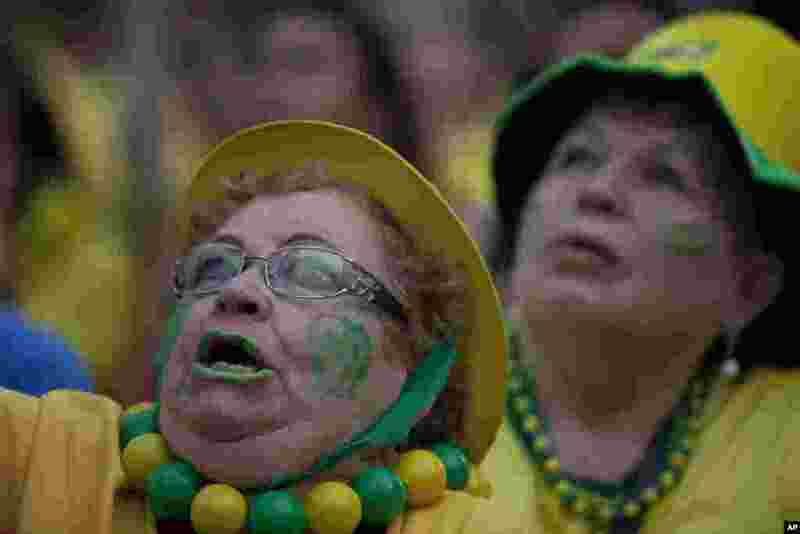 ۳ A fan of the Brazilian national soccer team watches the Mexico vs. Brazil match at the FIFA Fan Fest, during the 2014 soccer World Cup in Sao Paulo, Brazil, June 17, 2014. ۴ Spain's King Juan Carlos and his son Crown Prince Felipe (R) hug each other as they attend the signature ceremony of the act of abdication at the Royal Palace in Madrid. 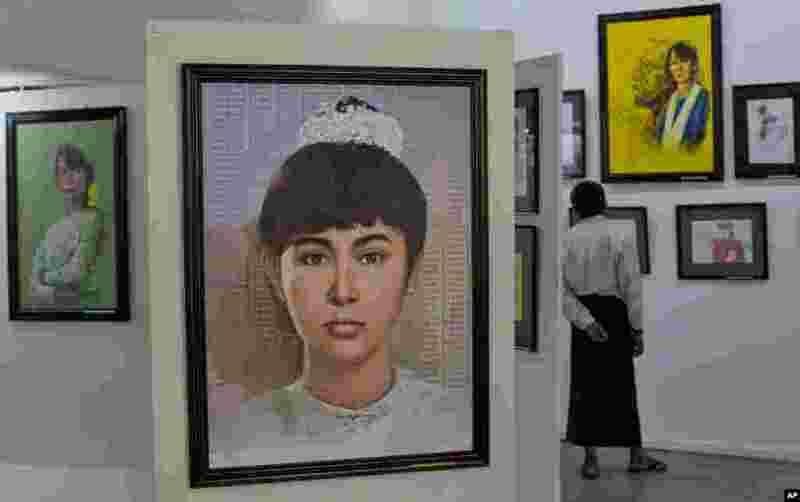 ۵ Portraits of Myanmar's pro-democracy leader Aung San Suu Kyi are exhibited at an art gallery in Yangon. A group of Myanmar artists showcase an exhibition of 69 portraits of Aung San Suu Kyi, depicting her life and different moods of the Nobel laureate to mark her 69th birthday, which falls on June 19. 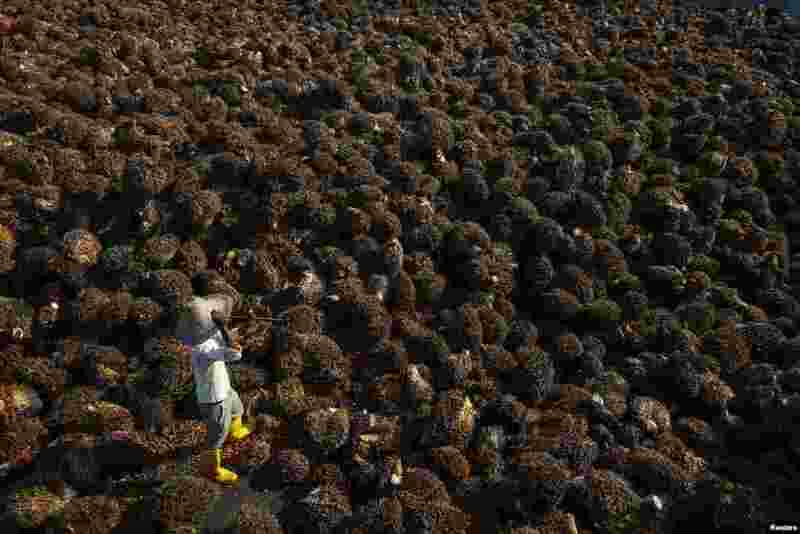 ۶ A worker collects palm oil fruit in Sepang, outside Kuala Lumpur, Malaysia. 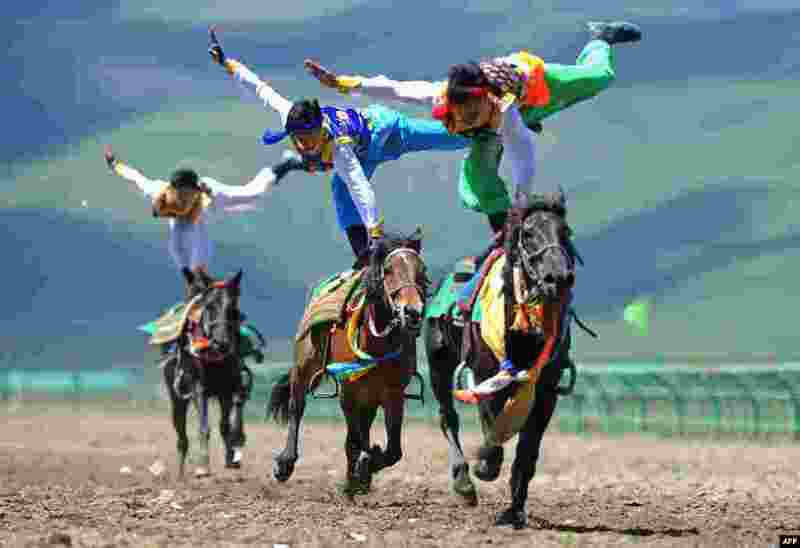 ۷ Riders wearing ethnic group costume compete in a traditional horseback riding event in Hongyuan county of Aba town, or Ngawa town, southwest China's Sichuan province, June 17, 2014. 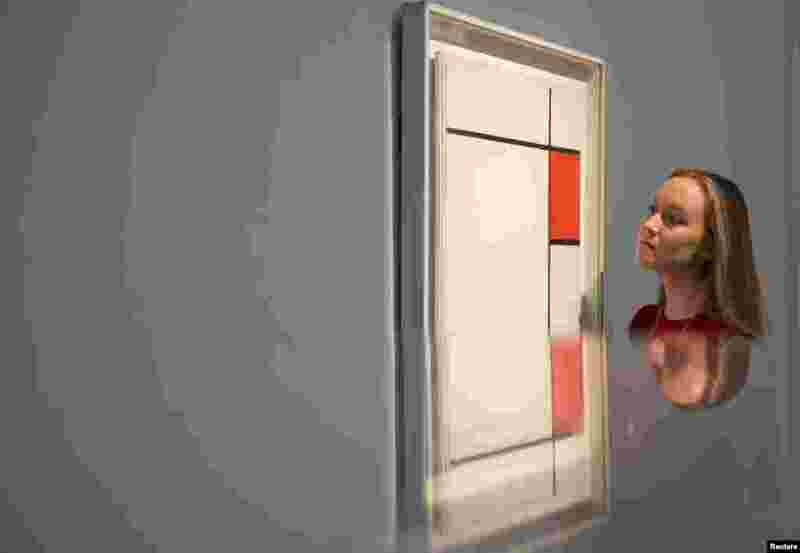 ۸ A gallery assistant is reflected as she views the work 'Composition with Red, Blue and Grey' by Piet Mondrian during a photo-call for Impressionist and Modern Art Evening Sale at Sotheby's auction house in London.